You're thrilled your child got into college, but that doesn't mean you're happy about the tuition bill. Last year, the average private college charged $43,921 for tuition, room and board. Public schools charged $19,548 for in-state students and $34,031 for those from out of state. That's enough to send jaws dropping for plenty of parents. So how are families footing the bill? 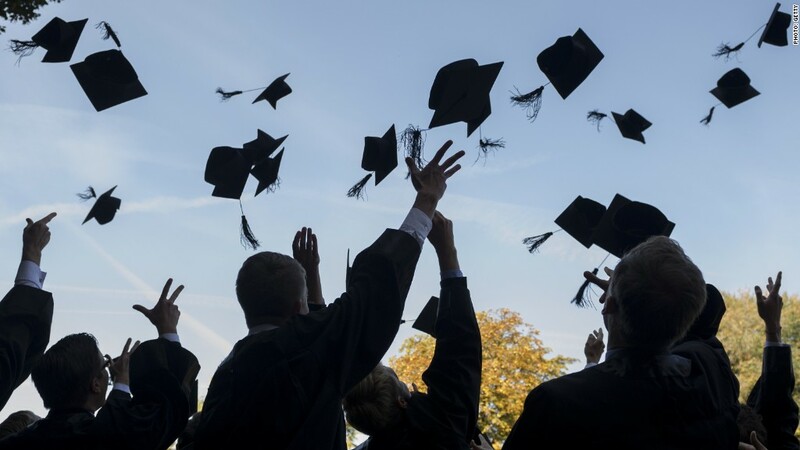 Scholarships: The good news is, scholarships and grants (money you don't have to pay back) are covering 34% of the costs for the typical American family, according to a new report from Sallie Mae. These can come from the college, the state or the federal government. They're based on either financial need or on merit: how well your child did academically in high school and/or their standardized test scores. There are also thousands of private -- and sometimes obscure -- scholarships out there from companies, nonprofits and community groups that a college student can apply for. Mom and Dad: Parents typically pick up 29% of the bill, according to the report. That's nearly $7,000 a year, coming out of your savings or income. Students' income and savings: Don't underestimate your kids. On average, students are paying for 12% of the cost. Grandparents: And the report found that financial help from other family members, like grandparents and friends, was nothing to scoff at, chipping away at 5%. Loans: The rest is covered by loans. But it's not just students that are borrowing money. They can only take out so much from the federal government's low-interest student loan program before hitting the cap. For freshmen, it's $5,500 a year, and it goes up by $1,000 annually for the next two years. Sometimes, there's still a balance on the bill after borrowing the full amount allowed in federal loans. Parents can take out what are called PLUS loans from the government, if their credit history qualifies. The school decides how big a PLUS loan you can take out. Students and parents can, as a last resort, borrow from a private lenders, which usually means a higher interest rate and fewer payback options. Student borrowing covers 13% of the total cost and parent borrowing covers 7% of the total cost on average, according to the report.